For small businesses and freelancers especially, it’s sometimes difficult to make that all-important distinction between your professional and personal lives. It’s easy to mix up those two, especially when you keep irregular hours and you pay out-of-pocket for everything. But separating your business finances from your personal finances can go a long way to helping you organize your life and keep you on track. 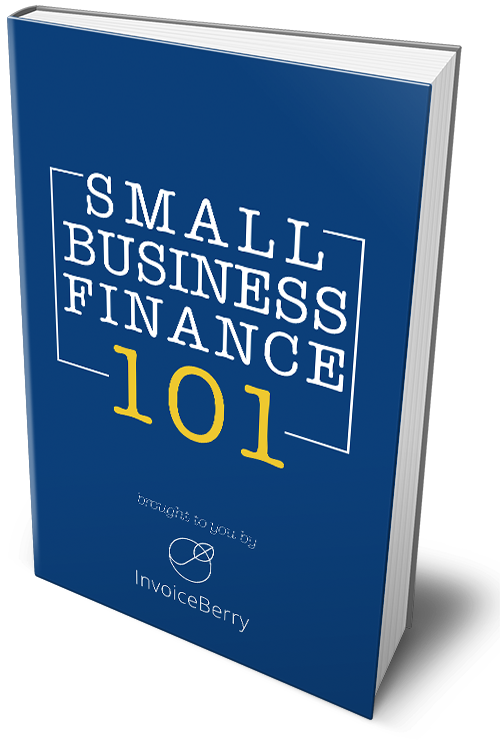 It can help you to understand what your business expenses are, explicitly, where and how you can cut back, and this will help you to grow your business. Here we’ll look at how to keep your personal finances separate from your business finances. If you’ve been in the freelancing or small business game for a while, you know how hectic it can be to track all your expenses and incomes when tax time rolls around. It’s even worse if you use one checking account for all your expenses, including furniture for your home and office, a laptop, stationary, phone bills, and groceries. Some of these are personal expenses, some are business, and some are half-and-half. It’s much easier for you to create and adhere to separate checking accounts, and there are tons of free and easy business checking accounts. If you’re going to buy anything related with your business, you should be using your business account. If there’s anything completely related with your personal life, use your personal account. This will help make your life easier not only for tax purposes but also when it comes time for financial planning and reviewing your business in general. If you’re going to open a separate checking account, you should just go ahead and get a separate card as well, or even a business credit card. This will make it much, much easier to keep track of your expenses. And it usually won’t affect your personal credit score, as business transactions won’t show up on your credit report. Even better, using a business credit card—and paying those bills on time—can help to increase your business credit score, which will help you to in the long run to boost your borrowing power and be approved for lower rates on business loans. Some people still use shoeboxes to store their receipts. Hopefully you’ve evolved to more advanced storage hardware, but nonetheless you should have at least two of those: one for your business and one for your personals. Keeping personal receipts is of varying importance to your life, usually for bigger purchases, but keeping them for your business expenses is crucial for tax purposes. If you don’t keep any business receipts, you open yourself up to a whole heap of problems if the tax authorities decide to come look in on your business to make sure everything’s fine. Even though I’m sure you didn’t do anything wrong, the whole process will go much more smoothly if you’ve kept accurate receipts. Don’t forget about number one—that’s you. You should always pay yourself first, and that’s something that a lot of freelancers and small business owners forget. Pay yourself a salary every month—the same amount—and move that to your personal bank account. Don’t exceed that amount, and if you do, just like regular employees, you’ll have to suffer and cope until the next month rolls around. That way you don’t have to dip into your business bank account. And if you find yourself running out of money consistently by the end of the month, check to see if you need a raise, or more realistically, if you need to cut back on your personal expenses. On the other hand, you’ll need to keep your business expenses in line as well. Make a budget for your business—in whatever field you are working in—and make sure you don’t exceed it. Because usually if you exceed that business budget, it means you’ll be pulling money out of your personal account that you can’t afford to waste. It’s easy to say that you need it and that you’ll put it right back—a nice new table from IKEA to make your office look better, or a new laptop, or anything else, but always ask yourself: do I need it now or can I buy it later? Or do I need it at all? If you make a strict budget, you don’t have even have to answer these questions. Rent for the office is a business expense. So is a second phone line, or your website expenses. But other things definitely aren’t. There’s no way you can justify having dinners with friends and family as a business expense. And you shouldn’t even try. That’s where you can get into some legal difficulties and it will create more problems in the long run. But there are some things that you should deduct. For example, gas to go to clients’ homes or businesses, or buying coffee for the office, or using your cellphone—all of those could be written off, and you definitely should. Just remember to use your company card rather than your personal one and keep the receipt. You should definitely separate your home life from your work life if you work at home. You can do this by designating an office space specifically and only for work in your home. This can then be used as a deduction, and you can even help to pay your home electric bill from your business account. Or if you’re a freelancer, you can just go ahead and make yourself a company. There are many different options depending on what country you live in, if you’re American or European or anything else. In many cases, it takes only a few minutes to set it up. But establishing your business as a separate legal entity provides you with many advantages, such as protecting your personal assets from losses, lawsuits and business-related debts. It’s important to keep not just yourself, but those people closest to you in check. Let your family and friends know that there are borders between your business and your personal life, with accompanying restrictions, and that those restrictions should be followed. This also means that just because you have your own business, and it may be quite successful, they should understand that you can’t be the only one contributing to personal finances. If they’re all on the same page, it will save you a lot of trouble down the road. One of the best ways to manage your expenses is to use online invoicing software, such as InvoiceBerry’s. The service lets you manage and track your expenses, create auto-invoices for those clients you have regular charges for, and a host of many other features. This should cover most of your businesses. However, if you still feel overwhelmed,you may consider bringing in someone with a whole lot of experience in helping people with their finances. The expert will have a vast store of knowledge, as well as more detailed information specific to your location, that can not only help you set up your finances for success, but also perhaps find ways for you to save money in various areas. It’s tough sometimes for freelancers and small business owners to delegate tasks to others, but one person can’t do everything alone. If you need help, don’t be scared to ask. It could save you a lot of money. Having a successful small business or freelancing business is composed of many important factors. One of the most important is getting your finances in order. Keeping your business finances separate from your personal finances is a crucial step on the path to success. Got any other tips to help keep your business and personal finances separate? Let us know in the comments below!